Seattle's Best Office Coffee Service Variety Pack - Build Your Own! Part of our "single pot" program. 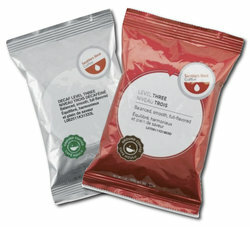 Packaged for office coffee service. Each pot package of Seattle's Best Coffee makes One Full Pot. Buy 1 at time, or a 100 at a time, it's up to you! Build it, and we will deliver it!